2007 turned out to be a special treat year. I drew an Arizona antelope tag for unit 19B. Those who’ve tried know that such a permit does not show up very often. This would be my first rifle hunt for antelope. There had been a little confusion between my ears six years ago, resulting in an archery tag. Some of you may remember that story. Anyway, the 2007 hunt would be in the same area. Therefore I had limited my scouting to a single visit a few months prior, mainly to check road access. It had not changed. We found ourselves in the intended place late Thursday night. 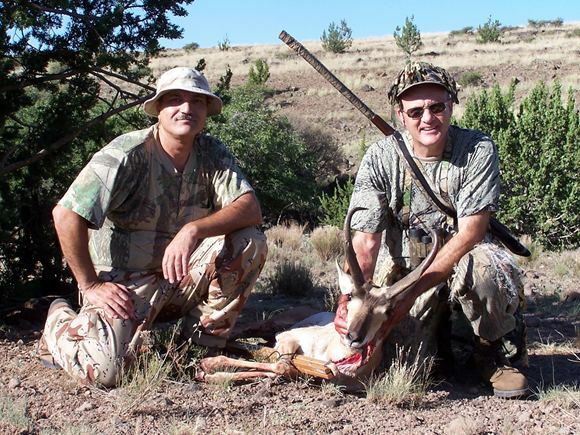 Dan Martinez had never been on an antelope hunt, and had therefore asked if he could tag along. Sure thing, most things turn out better when we share them. He even towed in his buggy to potentially give us more roaming range during the hot part of the day. Friday morning plans demanded to rise at 4:45 AM, get ready and be in position before first light. We managed to do exactly that, walking maybe a half mile from our vehicles, and hunkering by a juniper to wait for viewing light. Such light came right on schedule. Despite intense efforts our binoculars could not detect any critters. Well, cattle of course. When enough light bathed the rolling hills we moved further south and uphill. Not a hundred steps, and we had company. Some hundred and twenty paces due east there posed an antelope, silhouetted right at the horizon. And a legal buck at that. He just did not immediately impress. Now, I am not a trophy hunter, had no minimum head gear in mind. However, as stated before, antelope tags do not come easy. I wanted to at least feel good about the animal I aimed to kill, and it simply didn’t happen here. By the way, antelope hunting adds a special flavor to my enjoyment. It reminds of the old country. Not that there are prairies or pronghorns near Hamburg. Conditions are similar. In those moist meadows and open fields you do see roe deer regularly, just as antelope in the prairie. Both places, unfortunately, are uglied up with barbed wire fences. And this young buck happened to be near a residence, similar to northern Germany with its many villages and scattered farms. Youngster here was free to roam another day. Besides, usually there would be others of his kind not too far away. So, what about those? That question got answered rather quickly. The buck eventually ran off, and by so doing ratted out the herd to us. And looky here, another buck, bigger. The hunt was on! This boy I did feel good about. Dan stayed behind, obliterated by one of the few junipers in the area. I banked on old tactics. Donning full camo, further enhanced at home for a 3-D effect, gun over one shoulder, shooting sticks held right in front and above my face to further break up my human silhouette, with slow and careful steps I approached the antelope across open prairie with nothing to hide behind. It seemed to work. The herd showed no signs of fright, going about their business of fetching breakfast. Big boy had an extra assignment, occasionally keeping the lesser male away from his babes. No doubt the antelope saw me, but they did not recognize me. Our game continued for about fifteen minutes. I did not get significantly closer. Neither did the herd get nervous. They just steadily moved away from me while feeding. Eventually, also worried that the soon to rise sun would blind me, with big boy standing alone and broadside, I knelt, steadied the rifle on the cross sticks. He looked so far away. I aimed about a hand’s width over his back, increased pressure, and the shot went right where the crosshairs had been. Note to self: “You flaming idiot! We forgot this lesson, didn’t we! In poor light conditions things look further away than they really are.” I remembered vividly of having committed the same stupid ‘hold over’ error on mule deer years prior. “Jerk”. All seemed not lost, however. The herd, clearly alerted now, had dashed about hundred yards towards the southeast. They were still within range, even. 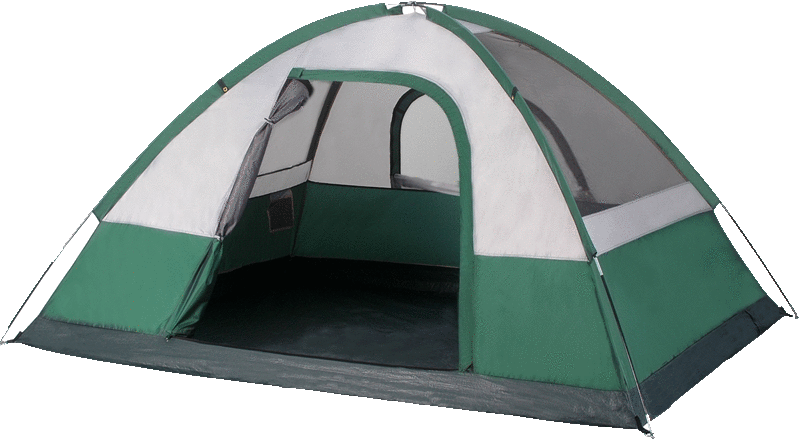 But there was a hill between us, and only their ears and prongs were visible. They didn’t even look in my direction. I would get another chance. Well, until a moment later, when they all thundered away, now heading northeast. The reason? Ah, two other hunters had come over the hill, completely silhouetted against the sky, and gloriously highlighted by their orange and pitch black attire. Unfortunately, they were closer now to the antelope, made their stalk, and missed also. Now the herd ran further east. My only hope was that they would eventually turn north and back. I ran that way to be there. Soon the competition fired yet again, missed again. The herd now headed into the sunrise, due east, out of sight. Game over at this location. I headed back towards our vehicles, and the competition over the same hill they had come from. Dan and I regrouped. Next on the agenda was a waterhole, further south, still within comfortable walking range. The sun already seemed at full power. Following a small wash provided a few more shade trees. Stopping in one of those cooler places, I put the binos back to work. Bingo. Immediately into view came a lone buck, decent looking at that. He triggered the ‘feel good’ sensors in me, and without a doubt was heading straight for the water. I dashed to the next shade when the antelope disappeared behind some trees. Here a big rock offered a convenient place to sit. 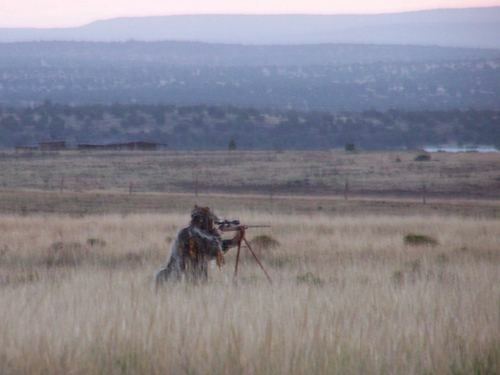 The Remington settled into the sticks again, just in time as the pronghorn paused. “Range me!” “240, 300, 240”, Dan whispered back. Huh? The buck had not moved. Heck, to me it looked like about 250. No way would I repeat the previous mistake. The crosshairs settled high in his body when the shot broke. At times even a fixed six-power scope can reveal too much, even at about 250 yards. And I did not like at all what the Meopta was showing me. The buck had turned, laboriously limping uphill now, and low in one hind leg was an obvious bullet wound. Some foul mix of disgust, frustration and sense of urgency overcame me. Turns out that such emotions do not aid in accurate shooting. I glanced up, only to see the prongs briefly. Now ready again, we headed for that spot we had last seen the buck at. “Should have practiced more shooting from cross stick” came to mind. We climbed slightly and entered open terrain, no place to hide, plenty of options for a final shot. That wasn’t needed. I found him already down for good, with a bullet wound very low through his chest. The mood changed instantly, of course. Dan congratulated, time for pictures, time to give thanks. Then the ‘red work’. 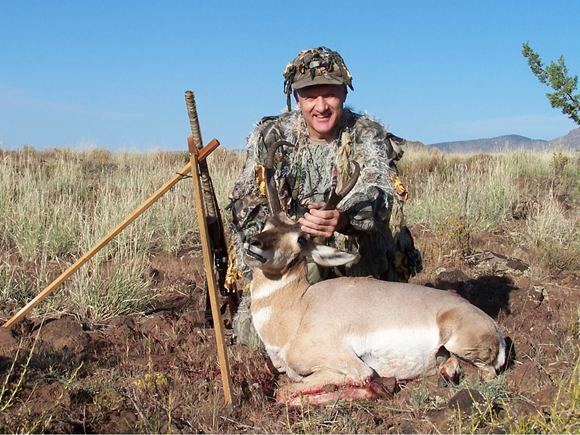 He was a fine pronghorn buck – happy ending (14-incher, for those who care). Things are indeed better when we share them. And easier when a buddy helps you carry the beast back to camp. Schpeaking of help… David Stimens had offered his artificial tree, a modular design of perforated square tubing that installs into a trailer hitch receiver. Nearby was an I40 overpass, that’s where we were headed because it offers solid shade and also a decent draft of air. Here my antelope, now hanging off the back of the 4Runner, lost its hide and then body temperature. Meanwhile Dan and I talked about guns and life, mostly life. Around noon the meat was cool enough. The final act of the hunt came with a few familiar cuts with blade and saw. Soon all bounty filled the extra ice chest. So what did happen?! ‘Forensic’ evidence included a wound channel through the chest in the direction of the first shot, not the three follow-up ones. The first stomach chamber had a small hole. The exit wound had been filled with leaf matter. And Dan found a tiny piece of bullet jacket in the leg wound, where the bullet had completely missed bone. Therefore my first shot must have done it all. Going low through the antelope’s chest, the 90 grain Ballistic Tip tore away the tip of the heart, breaching one of the three chambers. At least one fragment must have punctured the adjacent stomach chamber. Such hard hit explains why the buck had moved so awkwardly, and that leaf matter in the exit wound. After exiting his chest the Nosler also penetrated the offside lower leg. That is the wound I had seen through the scope. Dan and I never detected the one low through the boiler, which was possibly hidden by the front leg, or was simply too low for us to notice. How easily we doubt ourselves!